Today I'll be sharing a little tutorial on how to make a super-inexpensive (but cute) gift -- Paper Bead Necklaces! Made with stretch elastic, these necklaces are a versatile gift. Depending on the length of necklace you choose to make, you can wear it as a long necklace, a double necklace (equal lengths or unequal lengths) or wrap around your wrist several times to make a bracelet. You can make these out of magazine pages or any scrapbook paper you have laying around. The size of the bead will vary by your choice of paper and the size of your triangle. The necklaces shown here were crafted out of triangles that were 6-inches in height and made out of thick scrapbook paper. You can also add traditional beads to your creation. I chose to use some very inexpensive glass seed beads alongside my handcrafted paper beads. Best of all, you really don't need any special tools...just a little time and patience. Cut your chosen paper into long thin triangles. The length of the bead will be equal to the bottom of your triangle. I used triangles that were 6 inches high and 1-inch, 3/4-inch and 1/2-inch at the bottom. Apply glue stick to the side of the triangle strip that you do not want showing. Don't put glue at the fat end because that is where you will place the toothpick - you don't want the toothpick to stick to your bead. There you will place the toothpick and roll the paper tightly around the toothpick into a bead. For bead durability, apply at least three coats of Modge Podge to each bead. Allow to dry 15-20 minutes between each coat. Allow to dry completely. Unroll a length of beading elastic that is as long as you wish your necklace to be. Do not cut the elastic just yet. This will make it easier to keep the beads on as you strig them. String the finished beads in your desired pattern on the beading elastic. When all of your beads are on the elastic, take the cut end and tie it to the other end of the elastic that is still attached to the spool. Double or triple knot to secure the necklace. Snip the elastic off of the spool. This is a great craft to do with your kids. Although crafting the beads may be too difficult for very young children, even preschoolers can help create patterns and string beads onto the elastic. Working together to make a gift makes the gift even more special. 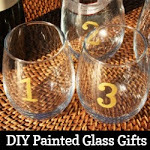 Looking for more homemade gift ideas? 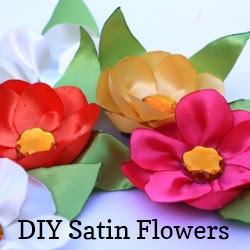 Check out these Satin Floral Hairclips or my Make It Monday Archive. Do you have any homemade gift ideas? Share in the comments. 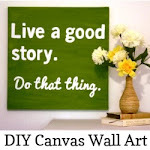 This post is linked to Frugal Friday. 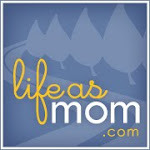 For other money-saving ideas, visit LifeasMOM on Fridays.